We are a remarkable entity in this domain, engaged in offering a stunning array of Water Bottle Cover. 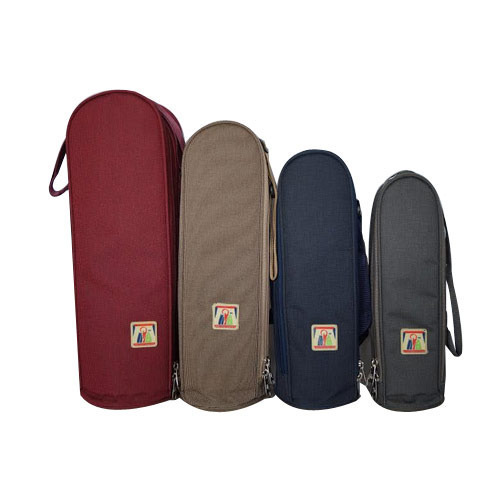 We Mahavir Bags have gained recognition in this domain by manufacturing and exporting an attractive assortment of Duffel Bag, Trolley Bag, Shopping Bag, Hand stitched Bag, School Bag, Laptop Bag, Photo Album Bag, Non-woven Bag, Pass Book pouch, Catalogue Bags, Back Pack, File Bags, Travel Bags, Water Bottle Cover, Lunch Bags, College Bags, Cotton Canvas bags, Canvas Bags, Jute Bags, Office Bags, Rice Bags, Theli, Catalogue Bags, Travelling Bags, Carry Bags, Covers And Many More…. Located at Ahmedabad (Gujarat, India), we are a Partnership Company and believe in providing as mesmerising collection of bags as per the current trends prevailing in the market. Incorporated in the year 2013 and we provide the complete range of bags in various capacities, colors and designs to fulfil the diverse choices of our clients. Under the headship of our mentor, “Mr. Sachin Mehta”, our organisation has gained a significant position in the national market.